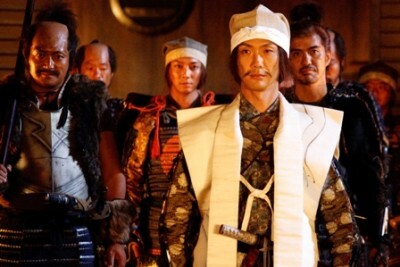 Nearing the end of Japan’s long years of civil war, with Toyotomi Hideyoshi one short step away from finally uniting the land under his rule, he sends a massive army north against the Hojo clan, his last enemy. The one stronghold he cannot take is Oshi Castle, a Hojo outpost in the land of Bushu. Called “the floating castle” because of the lake that surrounds it, it is under the command of one Narita Nagachika, an extremely popular ruler known to the people of his domain as “Nobou-sama,” or “blockhead.” Under Hideyoshi’s orders, General Ishida surrounds the castle with a force of 20,000. Nagachika is, as his nickname suggests, not a gifted man at all, but against the overwhelming resources of the Ishida army, the forces of this valiant little castle—only 500 cavalry—unite with the common folk in stubborn resistance, retreating not one step even when Ishida resorts to the extraordinary measure of damming a river to flood them out.